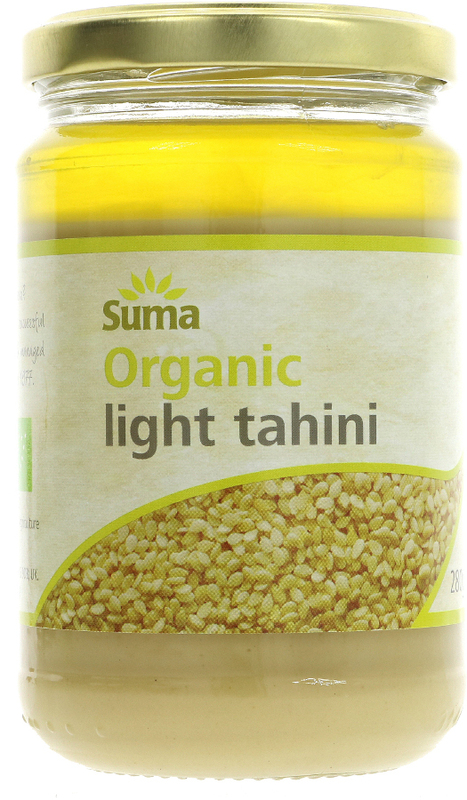 340 grams organic, vegan friendly Suma Light Tahini. 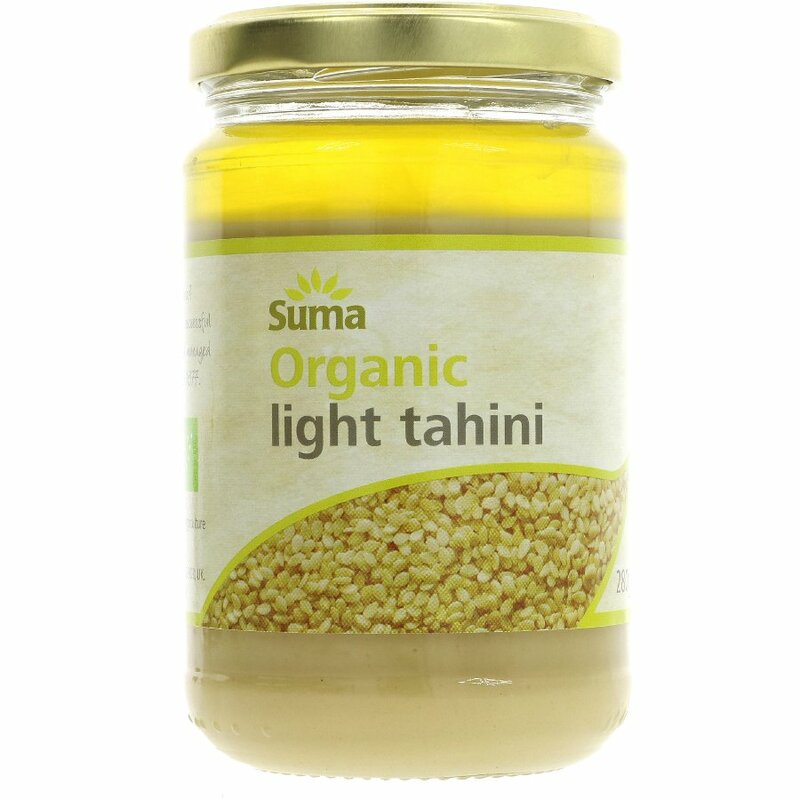 The Suma Organic Light Tahini - 280g product ethics are indicated below. To learn more about these product ethics and to see related products, follow the links below. This is my favourite tahini as the flavour is smoother and creamier and without the more nutty, bitter edge that the dark tahini has. I like to use it as a protein substitute, spread on bread or toast. Better with something else to compliment it and bring out the flavour more. Q: Can you please tell me what the difference between light and dark tahini is as most of the recipes I've seen don't specify which to use?rnrnThanks! A: Hi, the difference lies in the way the sesame seeds are processed. If they are ground with their husks, (edible shells that contain fibre and minerals like zinc), the product is coarser. This is dark tahini. Light tahini is smoother, often preferred for cooking and is made from sesame seeds without husks. I hope this helps, Robyn. 34 out of 35 found this question and answer helpful.